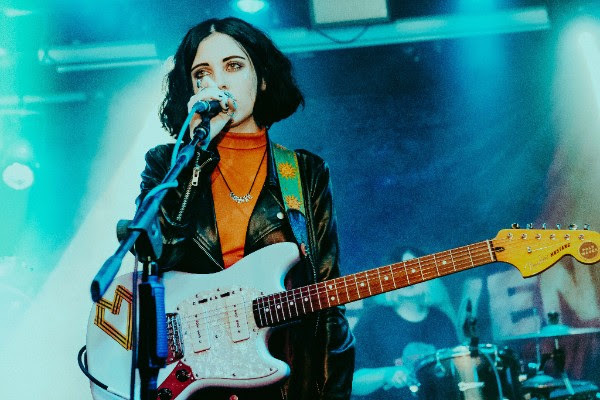 With the backing of The 1975's Matt Healy, who co-produced the band's first two singles, Pale Waves have impressively become a household name in the short space of the past year. From their early demos on Soundcloud to their now fully fledged sound, the Manchester-based four-piece are about to release their debut EP on Dirty Hit, due out early next year, and its got fans eager to hear what they're capable of. Whilst the band's first two releases seemed to borrow the same melody line, both track's sounding almost identical, it was feared with The 1975's involvement their originality had become tarnished but new single My Obsession clearly proves us wrong. What's ultimately a down-tempo slow-burner, freely sits atop euphoric highs as the band meander through their gloomy take on modern day pop. Having been announced on the prestigious BBC Sound of 2018 longlist, with a huge upcoming UK tour for the New Year, 2018 looks set to be an exciting time ahead. Take a listen to their new cut below. Pale Waves are Heather Baron-Gracie (vocals, guitar), Ciara Doran (drums), Hugo Silvani (guitar) and Charlie Wood (bass).